DEKOR® is known for a consistent commitment to innovation, creation, and evolution. With each new lighting product that’s released and integrated into our ever-growing lineup, we learn, improve, and reinvent the ideas of the past. Our EZ Wifi Controller is the next step in that evolution. In order to create a smart home lighting solution that stands up to the superb quality of our products, we took the time to strategize, design, test, and retest every aspect of this wifi controlled lighting device to instill complete confidence. By creating a streamlined smartphone app that works in accordance with your wifi controlled lighting, the power to control and command your lighting is now within arms reach. Adjust the dimming of your kitchen lights, activate the glow of your deck lighting, and schedule your porch lighting to turn on as you come home from work. And best of all, you can do it all and more from the comfort of your couch. We've taken this groundbreaking innovation in LED lighting one step further with our over-the-air updates. 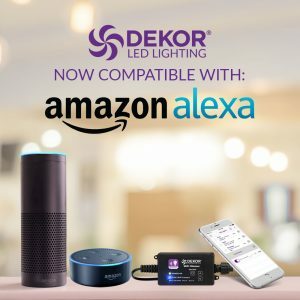 With the newest version of the EZ Wifi Controller, you can now sync your Amazon Alexa smart assistant with the Wifi Remote app, allowing you to control your DEKOR® lights using simple voice commands. And, we've expanded the wireless capabilities of the EZ Wifi Controller, transitioning to a cloud-based technology that allows you to control your lights from your phone anywhere you have internet access. Connect to a 3G, LTE, or wifi network on-the-go to adjust your DEKOR® lights in real-time. With our next venture into smart technology, voice-activated lighting from DEKOR® is now within arms reach. Using the newest version of the EZ Wifi Controller, you can sync your Amazon Alexa smart assistant to the Wifi Remote App, creating voice-activated lighting in minutes. Ask Alexa, "Turn on my garden lights," "Set my deck lights brightness to 50%", or even "How bright is my back patio?" Ask Alexa and your DEKOR® lights will follow. Schedule light schedules, activate and deactivate individual zones of lighting, and more. Soon, we hope to incorporate additional smart home assistants to this integration for universal accessibility. The newest EZ Wifi Controller over-the-air update allows you to connect to your DEKOR® lights from virtually anywhere in the world. If you can access the internet, you can access your DEKOR® lights. Connect to a 3G/LTE network or an available wifi network to activate and adjust your DEKOR® lights in real-time. If you forgot to turn off your deck lights before you left for work, no worries. Turn them off using the DEKOR® app from your desk. If you want to turn on your DEKOR® lights when you're away from home to keep your family protected, do it on-the-go. With this groundbreaking update, it's never been easier to command your lighting the way you want. The EZ Wifi Controller and smart home lighting work in accordance with any and every wifi network, as long as your network runs at 2.4GHZ. To connect your wifi controlled lighting, all you need to do is find your router’s WPS button, which you can locate using your router’s manual instructions. 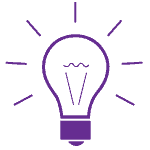 Follow the WPS setup instructions to set up your smart home lighting in no time. The range of EZ Wifi Dimmer’s LED wifi lighting is about 70 - 100 feet. 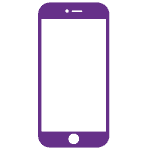 You’ll be able to tell if your signal is weakened, causing a delay or disruption in your connection, if your phone’s connection strength bars drop below 3 bars. The ideal connection strength to command your app-controlled lighting si 3-5 bars, so check the upper left-hand corner of your phone to make sure your connection is up to the task. With your smart home lighting, you can find your ideal brightness and light intensity with the touch of a button. To adjust your wifi controlled lighting, slide your finger along the brightness slider to dim or brighten your lights in real-time, with a brightness range of 0% - 100%. The far left of the slider is the darkest setting for your app controlled lights at 0%, and the far right is the brightest at 100%, allowing you to find your perfect LED wifi lighting fit. And remember, if your network fails or glitches out of the blue, you can still adjust your LED wifi lighting via the dimming controls found on your EZ Wifi Dimmer. Simply reset your EZ Wifi Dimmer by holding the ON/OFF button until the blue light shuts off, and now you can adjust dimming on the EZ Wifi Controller itself if needed. Your DEKOR® wifi controlled lights have the power to be controlled by both iOS and Android smartphones. By adding our streamlined app to the Google Play store as well as the App Store, we’ve expanded the possibilities for smart home lighting. So, whether you have the newest iPhone X, Samsung Galaxy S8, or anything in between, you can have app controlled lights in minutes. Always remember: when setting up your wifi controlled lights, make sure to download the DEKOR® Wifi Remote App after you’ve already synced your lights with your EZ Wifi Dimmer (the SYNC-Wifi Connect light is a solid blue.) Once your LED wifi lighting is connected, you can turn on, turn off, dim, brighten, schedule, unschedule, and the list goes on. With the EZ Wifi Controller and app, your world is opened up to the endless power of smart home lighting. And with DEKOR® smart home lighting, the power to create customized and integrated wifi controlled lighting zones is right at your fingertips. Simply purchase additional EZ Wifi Dimmers for every lighting sequence you plan to use as app controlled lighting, connect them all to your network, and sync with your DEKOR® wifi app. For example, connect 1 EZ Wifi Dimmer to your Deck Dots lighting and transformer, another for your pathway lighting, and one more for your under cabinet lighting. After connecting to your router via WPS, each smart home lighting zone should pop up on your DEKOR® Wifi Remote App, allowing you to label, adjust, and schedule accordingly. We understand life gets busy, and not everyone has time to set up and adjust their lighting day-to-day. And more than that, most people don’t want to. With our app controlled lights, you can set up your ideal lighting schedule right from your phone and can schedule it to repeat as you like. Just like your phone’s calendar settings, simply choose the start time for your smart home lighting to activate under the On time option, and the end time for it to power off with the Off time option. Choose your brightness on a scale of 0% - 100%, and use the repeat button to create an automated schedule. Schedule your wifi controlled lights to shine on a daily, weekly, or custom schedule of your choosing. The idea for the EZ Wifi Controller was born right here in the USA, at our headquarters in Denver, Colorado. Working with our dedicated engineers, developers, and assemblers, we crafted a cutting-edge mechanism that creates smart home lighting with the help of our technology partners, Texas Instruments. Using their patented microchip technology, we worked together as a team to develop a product that reflects the DEKOR® brand and reputation. And to stand up to the success and quality of our other DEKOR® products, we’re committed to constantly updating and improving the firmware within each Wifi Dimmer smart home lighting product to assure complete accessibility and compatibility with every home. To remain true to our commitment to evolution, we’re constantly improving and updating the firmware embedded in each product to add more customization and convenience to your wifi controlled lighting. We've just realeased second generation of the EZ Wifi Controller, improving the firmware of your wifi controlled lights to make life even more simple. First, we’ve improved the ease of use with your app controlled lights, making the EZ Wifi Controller more responsive, receptive, and intuitive to your needs. Fine-tuning the smart home lighting connection methods was next on the list, which is where our optimized WPS installation comes in. Instead of waiting for your network to detect the EZ Wifi Dimmer, we’ve found that a direct WPS connection is a sure-fire way to shine in minutes. Check out our simplified setup process to effortlessly create smart home lighting. On top of improved connection processes, we thought it was vital to continually update each EZ Wifi Controller even after it’s left our shop. That means over-the-air updates will constantly be sent to your EZ Wifi Controller, streamlining and optimizing our technology to ensure ease and accessibility for every customer, from beginner to expert. Above all else, our second generation means that we recognize there’s still progress to be made. By releasing our newest update, we vow to continually meet and exceed your expectations for wifi controlled lighting. That means this update is just the first step in this story. As you read this, we’re still working on getting it right, adding in more syncing abilities, device compatibility, app updates, and more. We recognize that we’re new to the world of smart home lighting, making us even more driven to find the most streamlined solution for your wifi controlled lights. If we haven’t found all of the answers yet, rest assured that we will. 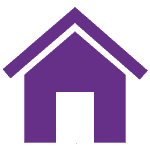 And, if we’ve missed something with our LED wifi lighting update that you think is important or impactful, please feel free to share it with our compassionate customer care team by using the messenger icon on the bottom right, sending an email, or giving us a call. With the newest EZ Wifi Controller release, we've enabled over-the-air firmware updates. This means that any tech updates or improvements to the controller don't require repeated purchases of the EZ Wifi Controller. When a new tech update releases, your EZ Wifi Controller is automatically updated. 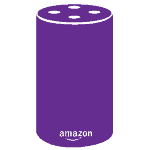 That means that Amazon Alexa integration, cloud-based network connection, and more are available on your EZ Wifi Controller right now if you own the second generation of the dimmer. To check if you've purchased the second gen EZ Wifi Controller, look for Wd 2_0 on the back of your controller. If you have the first version of the EZ Wifi Controller, we still want to make sure you have access to the latest smart technology. Simply send in your previous version of the EZ Wifi Controller so our team can program it with the newest firmware, just pay shipping! Contact our customer care team now to learn how to start this process. By syncing your DEKOR® EZ Wifi Controller with your home’s wireless router, you’re creating an open connection between your network and your lighting, giving you wifi controlled lights in seconds. And after that, a simple download of our Wifi Remote App connects said lighting with your phone, now creating app controlled lights right from your smart device. Once connected, you’ll take a step into the future with the power of smart home lighting. So how exactly do you connect your smart home lighting? Follow the quick steps below to find out. Connect your DEKOR® LED lights to the EZ Wifi Controller. Connect your EZ Wifi Controller to your EZ transformer and plug into an electrical outlet. The POWER ON light on your Wifi Dimmer should illuminate green once plugged in. Turn off your DEKOR® lighting by pressing ON/OFF button on the Wifi Dimmer. The POWER ON light should be green, the SYNC-WiFi Connect light should be off, and your DEKOR® lights should be off as well. This means your Wifi Dimmer is in setup mode and ready to connect. Hold down the V down button on the Wifi Dimmer until the SYNC-WiFi Connect light flashes blue. Find the WPS button on your home’s wireless router. If unsure where this may be, consult your router manual instructions online. See photo below for reference. Press or hold WPS button until blue SYNC-WiFi Connect light stops flashing and stays illuminated. This means your lights are now connected to your network. Once both green POWER ON light and blue SYNC-WiFi Connect light are steadily illuminated, unplug the transformer plug from your electrical outlet to reset the connection. NOTE: Do not mistakenly unplug Wifi Dimmer from EZ Transformer while plugged into an outlet, this will overload the dimmer’s hardware and render it inoperable. Allow lights a moment to turn off and reset, and plug transformer back into your electrical outlet. Your DEKOR® lights are now connected to your EZ Wifi Controller, giving you wifi controlled lighting. Next, download the DEKOR® Wifi Remote App from the App Store or Google Play by searching “DEKOR® Wifi Remote” into the search bar. Once downloaded, open the app. Your lights should be detected and appear under the “My Lights” tab under a name starting with “DEKORL1-”. We recommend changing the name to something more appropriate to keep track, such as the zone where the lights are used. 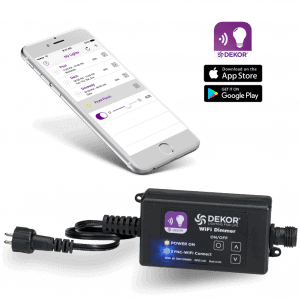 Now, you’re free to dim, brighten, schedule, and command your DEKOR® lighting right from your smartphone. The lighting possibilities are right at your fingertips. Our core belief is simple: to always remain original, authentic, and innovative. 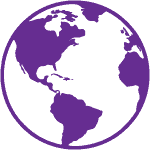 By presenting forward-thinking solutions that stand the test of time, we ensure our core values are never forgotten. The EZ Wifi Controller is a clear example of that. The EZ Wifi Controller is our first step into the world of smart home lighting, so we knew we would need some help. After partnering with Texas Instruments and implementing their one-of-a-kind smart technology, we absorbed all of the ideas and strategies they suggested to develop a truly exceptional LED wifi lighting product that makes your life easier. Use your smart landscape lighting controller to create app controlled lighting in your landscape, garden, deck, and beyond. With a simple bridge connection between your EZ transformer and your LED lights, your smart landscape lighting controller will start the shine in no time. Command your EZ EDGE pathway lights, dim your recessed Deck Dots, or even schedule your driveway lighting to illuminate as you pull in from a long day from work. With the EZ Wifi smart landscape lighting controller, you can do it all. But remember, the EZ Wifi is so much more than just a smart landscape lighting controller. 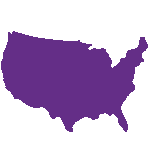 Create LED wifi lighting zones throughout your whole home, from your under cabinet lights in your kitchen, to your recessed stair lights in your foyer, and even your waterproof accent lights in your shower. With DEKOR® smart home lighting on your side, you can command it all right from your phone. All DEKOR® products are backed by a no-questions-asked warranty that assures your LED wifi lighting will stand the test of time. If your EZ Wifi Controller fails to perform or causes delays, disruptions, or other disturbances, we’ll fix it or replace it free of charge for 1 year following purchase. That means if you notice workmanship flaws or errors with your wifi controlled lighting, you’re protected for 1 year from any damage or performance issues, as long as you use the EZ Wifi Controller with a DEKOR® transformer. Learn more about our unwavering warranties for every DEKOR® product below.